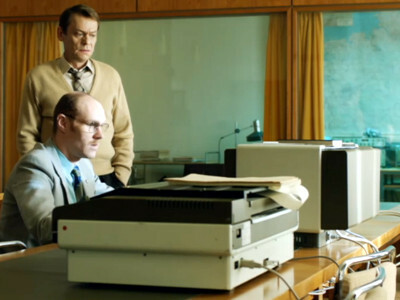 An East German soldier infiltrates the West German military, posing as young soldier Moritz Stamm, and steals a top secret NATO floppy disk. 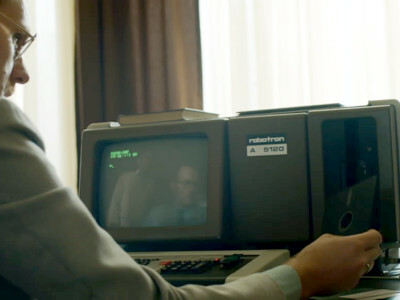 The East Germans attempt to read a disc containing a NATO report on a possible nuclear strike in their "state of the art" Robotron A 5120, but it has 8 inch floppy drives and the it's a 5.25 inch disc. 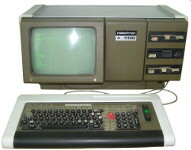 Overcoming a Comecon embargo, the East Germans get hold of an IBM Portable PC 5155 (which they call an IBM 567) to try to access a disc containing a NATO report on a possible nuclear strike, but find its contents are encrypted. 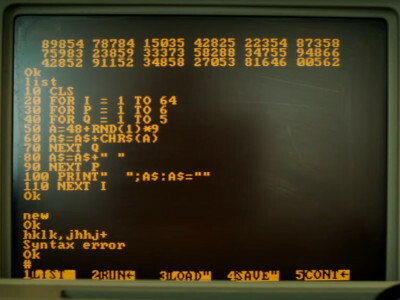 The PC 5155 was released in 1984, this is set in 1983.